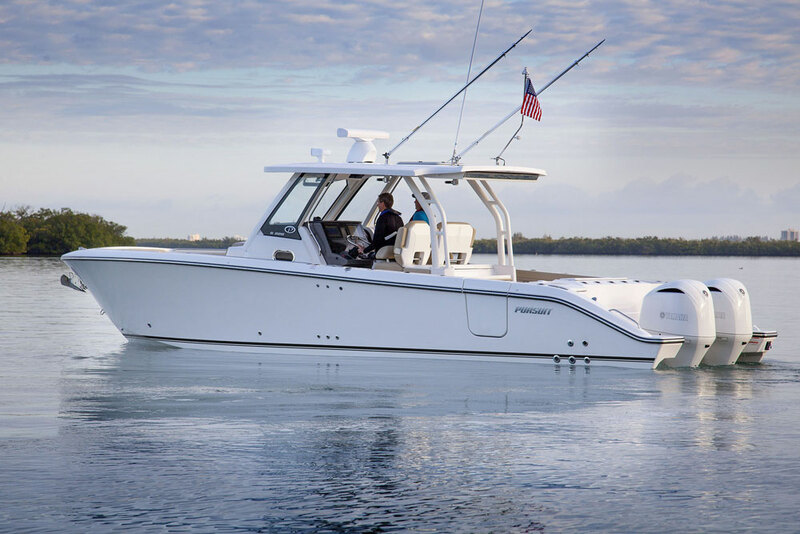 The 2017 Sea Fox 328 Commander is the new flagship of the Sea Fox fleet. Last year at the Miami International Boat Show we ran the Sea Fox 288 Commander and declared it not only a solid value, but also an excellent performer and overall great platform for inshore and offshore angling. 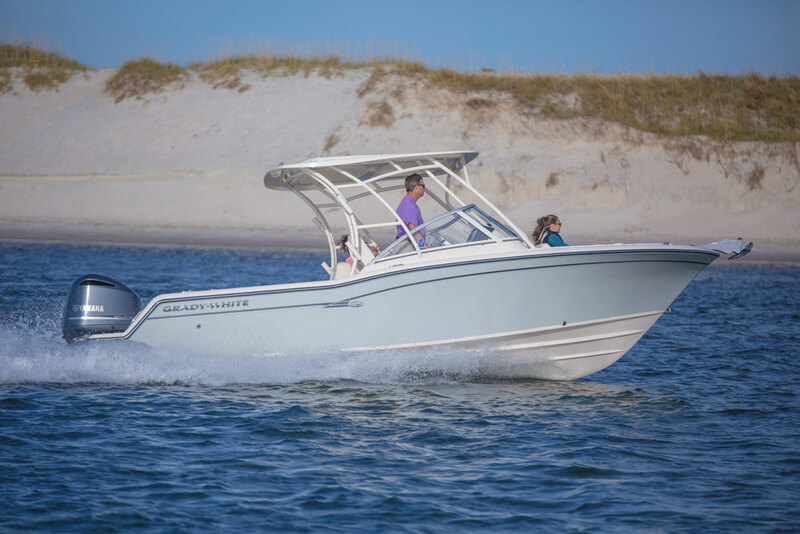 In the middle of last year Sea Fox upped the ante, introducing its largest center console boat to date, the 328 Commander. Let’s take a quick look at this latest model. So, did Sea Fox simply build a larger version of the 288, slap in a similar interior and build in the same standard features? Nope, not even close. 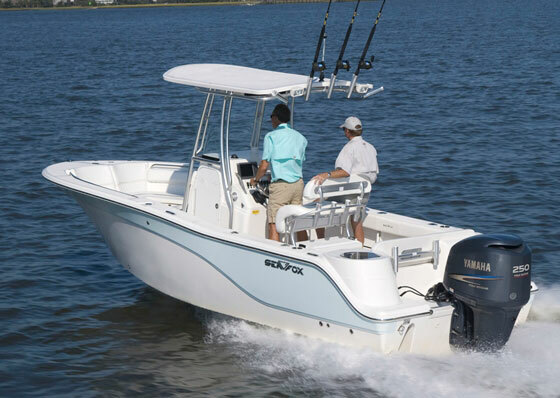 With the 328 Commander Sea Fox has built a truly impressive offshore angling machine with a price that starts out below many of its competitors (we saw it listed as low as $219,990 at the time of this writing). You can’t step on the swim platform of 328 Commander and not immediately notice that the vibe is all about fishing. At the stern is a 50-gallon pressurized live well that looks like an Olympic-sized swimming pool for pilchards. There’s a kiddie pool next to it—a 35-gallon pressurized live well with an aquarium-like window built into it to help you keep an eye on how your baits are faring. Turn your attention forward and you’ll see an incredibly well-outfitted rigging station replete with an inset basin and drain tray for icing down rigged baits and a sink next to it. Pressurized fresh and raw water are both within reach for keeping things tidy. The lid for the bait area flips over to provide a cutting surface. Underneath the whole affair is a 65-quart cooler that slides out electrically—not on sail track or a number of other methods builders often use that simply don’t work well. 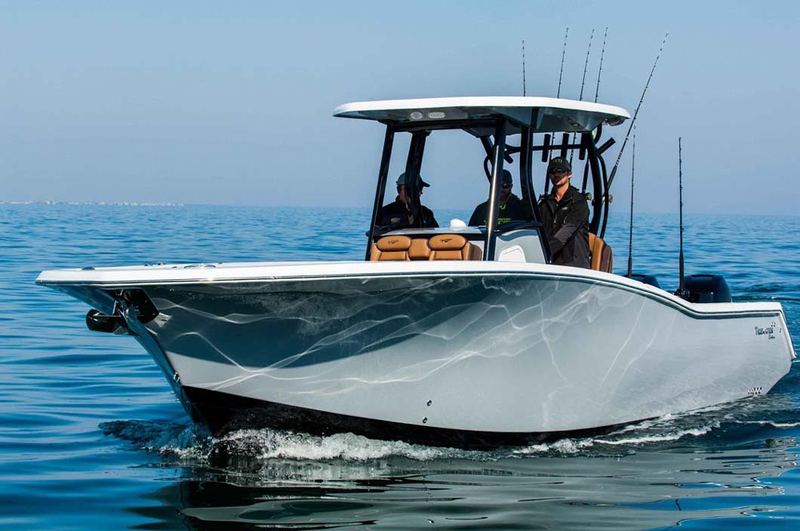 Inside the Sea Fox 328 is packed to the gills with extraordinary fishing features and a compliment of comfort items that make it downright luxurious. Underfoot is a more-than-ample complex of insulated fish lockers with macerated drains. There are four of them, to be exact, two straddling each side of the center console. In the aft cockpit and on the foredeck are small under-deck stowage lockers perfectly sized to accommodate five-gallon buckets. All locker hatches open and stay open easily, thanks to stainless-steel gas-assist struts. 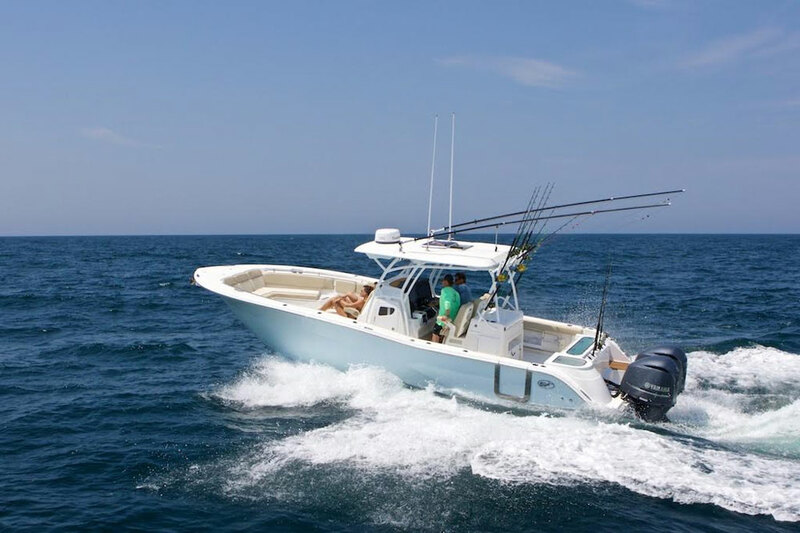 Adding to the 328’s offshore angling pedigree are more than 20 spots peppered around the deck and on the hardtop to stow your rods, and Taco outriggers. At the helm there are twin Garmin 7616XSV multifunction displays rigged up to a CHIRP transducer and 18-inch enclosed radar array. Up front the 328 Commander gets its party on. There are two forward-facing lounges with flip-out backrests set into the bow, and a large backrest means another person can join in and face aft in a smaller bench seat. Drop a table in, throw out some party snacks and drinks, and happy hour is complete. 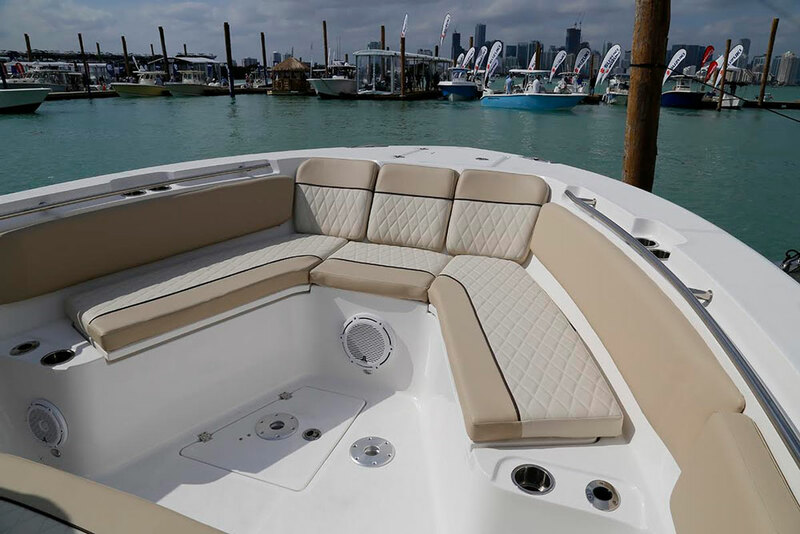 Ahead of the center console is an expansive two-person, forward-facing lounge with more stowage underneath. Keeping it comfortable when nature or the Sand Man calls is a nicely outfitted cabin with an electric head, sink, and a padded area that most folks will used as rod and tackle stowage but can also serve as a berth. There’s ample stowage underneath those lounges, in the bow of the Sea Fox. The 328 Commander is built on a single-skin, hand-laid fiberglass hull with multiple layers of 3610 vector-ply e-glass. Composite stringers stiffen things up and are laminated in with 42-ounce quad-glass multidirectional fiberglass. The hull has a lifetime warranty. 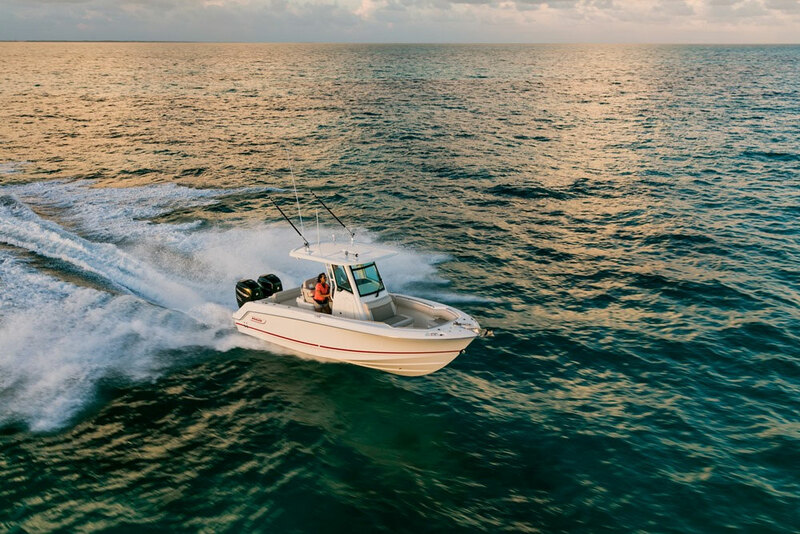 At the stern of our test craft was a pair of 350-horsepower Yamaha F350 outboards mated to digital engine controls and Yamaha’s Helm Master joystick system. A stiff southeasterly breeze awaited us on Biscayne Bay—the ideal conditions for seeing what the 328 Commander is made of. It took only 4.8 seconds to get the 328 up on a plane, and keeping the throttles down catapulted us across the three-foot chop up to a top speed at wide-open throttle of 57.3 MPH, where we noted the two F350s power-chugging 65.5 GPH of fuel. 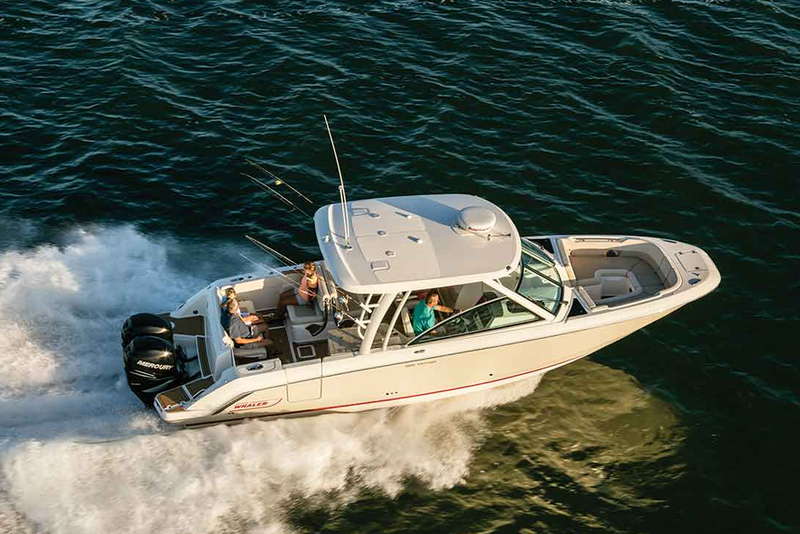 Allow us to save you some money for bait—run the 328 Commander at around 32 MPH and they’ll burn only about 22 GPH. That gives the 328 a theoretical range of about 455 miles. Bouncing across the waves the 328 behaved very well, feeling solid and providing a smooth ride. The 32-foot offshore center console market is one that’s populated by plenty of boats vying for your dollars. So why should the 328 Commander be on your list? Maximum performance and fishability with lots of performance and comfort at a reasonable price. Sea Fox apparently has got the formula so tuned-in that they can’t build enough of them. 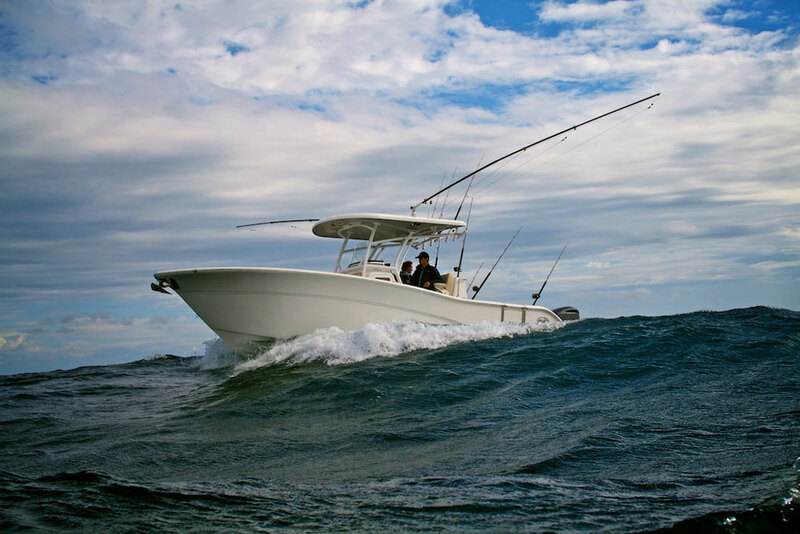 Other Choices: Other center consoles with a bent toward angling and luxury you might consider include the Scout 320 LXF, Mako’s 334 CC, or the Boston Whaler 330 Outrage. 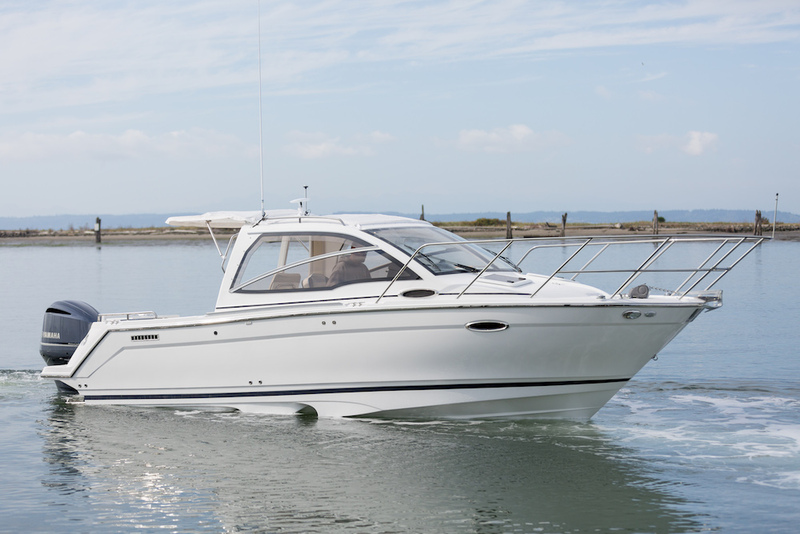 View Sea Fox 328 Commander listings.